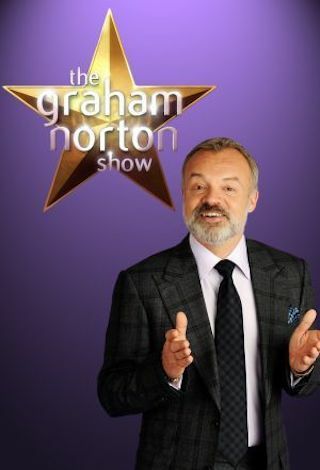 The Graham Norton Show is a British 50 minute talk show comedy television series, which kicked off on February 22, 2007, on BBC One and is broadcast every Friday at 22:35. The show is currently in its 25th season. BBC One is yet to announce the renewal of The Graham Norton Show for Season 26 as well as its cancelation. Sign up to track down the show's status and its release date. Chat show featuring celebrities, music and fabulous weirdness from the British public. Among the guests on Graham's sofa tonight: Academy Award-winner Charlize Theron and comic talent Seth Rogan, together in movie Long Shot, Ferris Bueller himself, Matthew Broderick, making his West End debut in The Starry Messenger and Zac Efron, playing serial killer Ted Bundy in Extremely Wicked, Shockingly Evil and Vile. Together on Graham's sofa tonight: Hollywood star Keanu Reeves in new action thriller John Wick: Chapter 3 - Parabellum, Aussie pop queen Kylie Minogue, Taron Egerton and Jamie Bell, playing Elton John and Bernie Taupin in biopic Rocketman and Doctor Foster star Suranne Jones in new BBC drama Gentleman Jack. With music from Michael Rice who performs the UK Eurovision entry Bigger Than Us.